Carol Studios, Inc. v. Hong, 2013 IL App 122293-U (1st Dist.2013) provides a good summary of Illinois pleading requirements for consumer fraud, civil conspiracy and unjust enrichment in a construction contract dispute involving commercial property. Over a span of two years, the owners of a mixed-use property in Skokie, Illinois hired the plaintiff interior design firm along with the defendants architect and general contractor to develop the site. 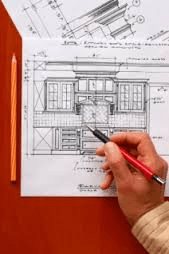 At some point the architect and general contractor defendants (the “Defendants”) developed a mutual disdain for the plaintiff and started excluding plaintiff from the development and disparaging the plaintiff’s design services to the owners. When the owners fired it, the plaintiff sued. The trial court dismissed plaintiff’s claims and plaintiff appealed. To allege civil civil conspiracy in Illinois, the plaintiff must plead: (1) an agreement between two or more persons, (2) to participate in an unlawful act, or a lawful act in an unlawful manner, (3) injury caused by the unlawful overt act performed by one of the parties; and (4) overt act was done in furtherance of a common scheme. The essence of plaintiff’s conspiracy claim was that the Defendants ganged up on and conspired to block plaintiff from the project by denigrating the plaintiff’s services and telling the owners that Defendants could perform plaintiff’s interior design work better and cheaper. The Court found there was nothing inherently unlawful about this: defendants were free to express their work partner preference and to not work with the plaintiff. ¶¶ 23-26. The Court also rejected plaintiff’s Consumer Fraud Act (the “CFA”) count based on Defendants’ misrepresenting their qualifications to the owners and false statements that they could do plaintiff’s design work for less money. In Illinois, a consumer fraud plaintiff must plead: (1) a deceptive act or practice; (2) defendant’s intent to induce plaintiff’s reliance on the deceptive act/practice, (3) occurrence of the deception in trade or commerce, and (4) actual damages to the plaintiff caused by the deception. ¶¶ 28-29. This case reaffirms that a basic breach of contract claim can’t be transmuted into a statutory consumer fraud claim. Otherwise, all breach of contract claims would give rise to companion consumer fraud counts. Carol Studios also shows how difficult it is to prove civil conspiracy when all that’s really involved is a business dispute among different commercial parties. Note: the plaintiff in Carol Studios was permitted to amend its tortious interference with contract claims. Previous Previous post: Illinois Wage Payment Act Applies to Ohio Resident -IL 2d Dist.